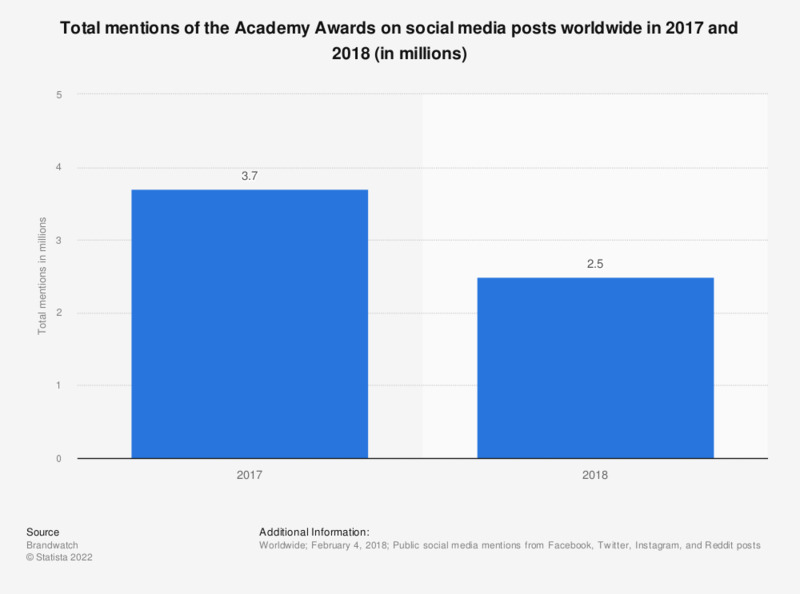 This statistic presents the total mentions of the Oscars on social media posts worldwide in 2017 and 2018. According to the findings, there was a total of 2.5 million mentions of the Oscars across the various social media platforms during the February 2018 ceremony. Data was gathered between the times 20:00-23:50 EST. English-language mentions only.